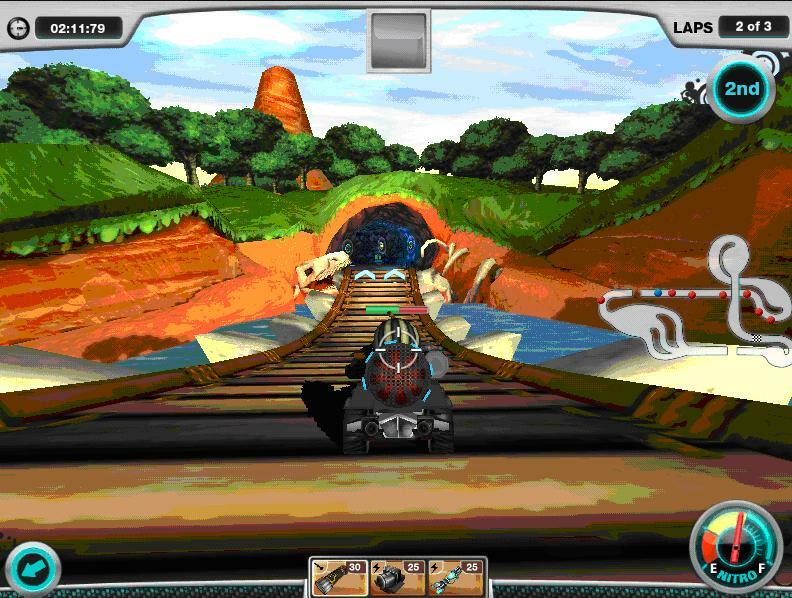 Burn your legacy into history by dominating the three Dino Crystal Caves tracks. Each raceway provides unique, prehistoric challenges that are as intimidating as the dinosaurs themselves. 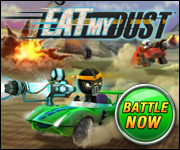 Bring about the extinction of your competition by taming these vicious race tracks. The Big Chomper lives up to its name as drivers must launch themselves through a series of gargantuan jumps. Time your jumps carefully while sabotaging rivals to send them falling into the earth’s core. 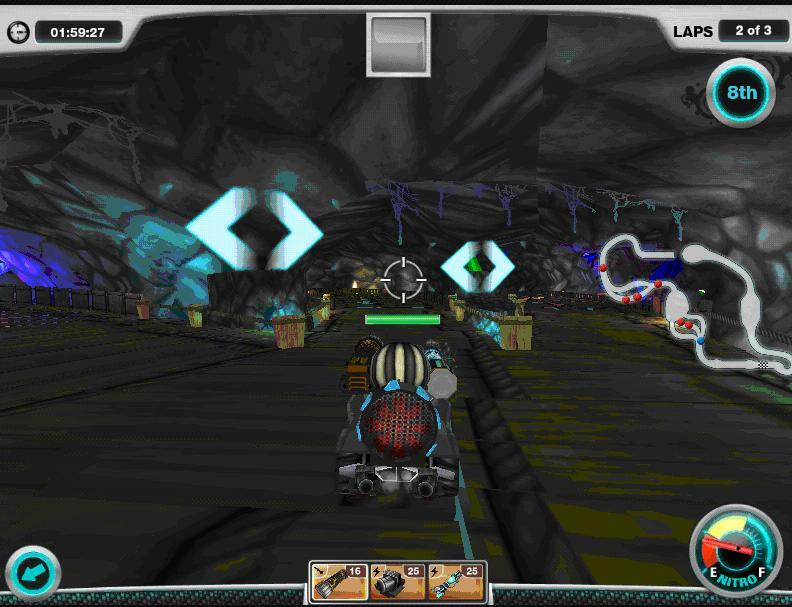 Dig City provides you with a number of paths to navigate, but be careful not to get lost in this labyrinth of tunnels as you attempt to leave your opponents in the dust. 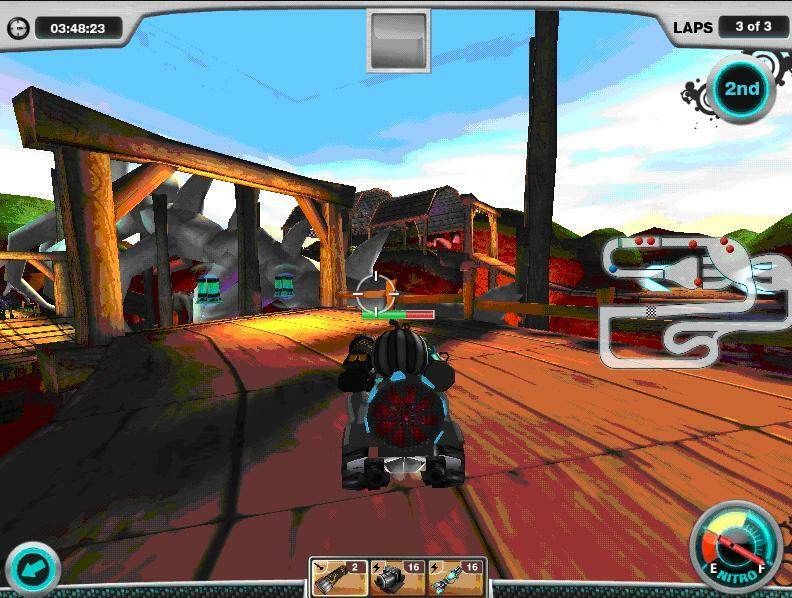 Utilize the various passages to sneak up on other drivers, wreak some havoc, and steal the lead. Crystal Cave Loop tests your handling abilities as you weave through sharp turns high above the ground and drive through dark tunnels. Keep an eye out for a shortcut or two that will give you the upper hand on the competition as they struggle to round the tricky roads. Dino Crystal Caves is a menacing challenge that embodies the ferocity of the dinosaurs. These tracks unleash savage chaos upon drivers bold enough to traverse them but glory and rewards await those who are able to master them.